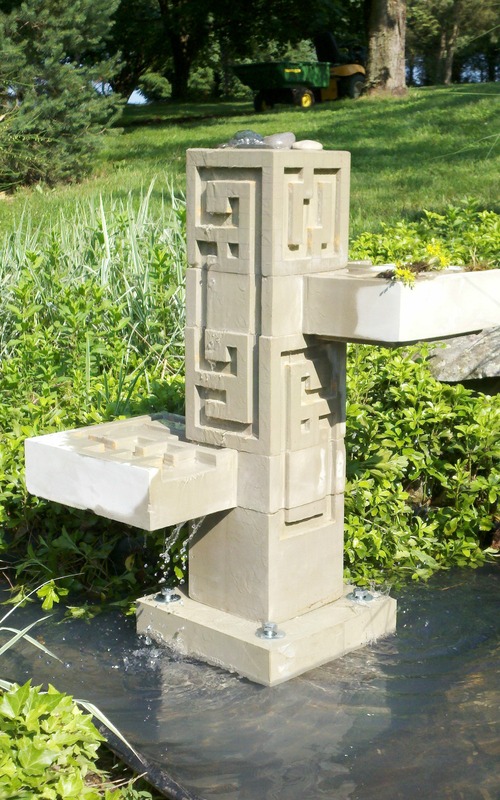 Six individual pieces were cast in concrete using one-time use molds formed from foam-core board backed with plywood for strength during casting. 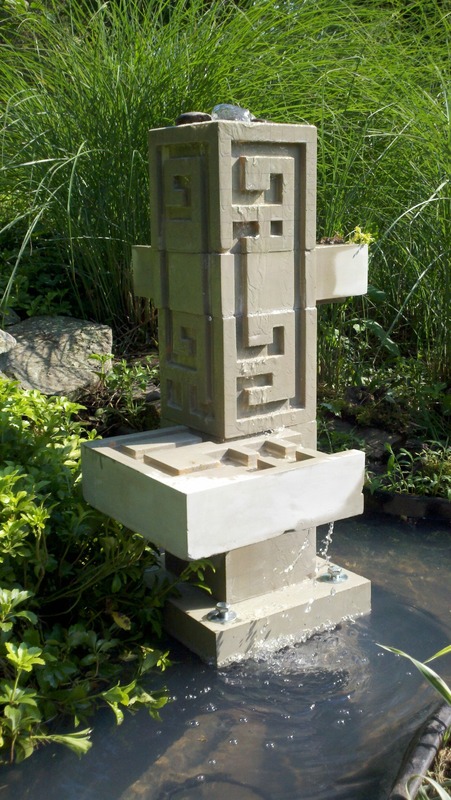 A center tube carries water to the top of the fountain where it cascades down the sides and into the horizontal arms. 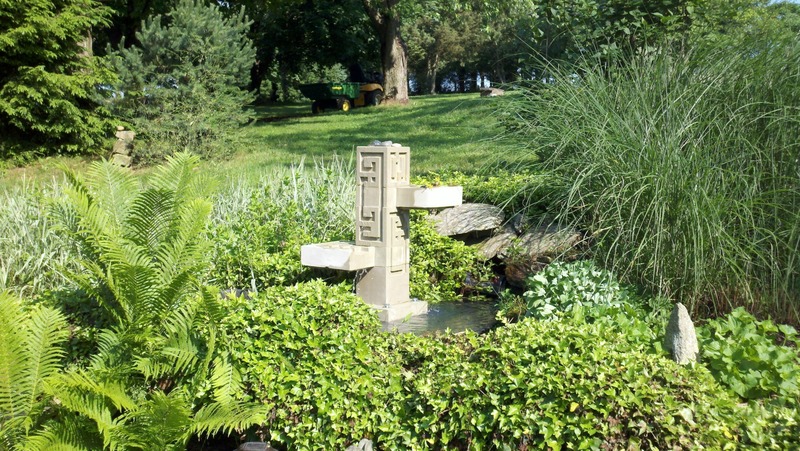 The horizontal arms contain channels for the water and holding plants like moss. 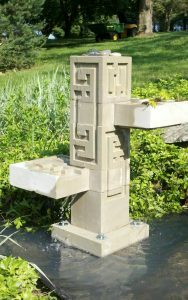 This unique piece was inspired by Frank Lloyd Wright’s magnificent Fallingwater.